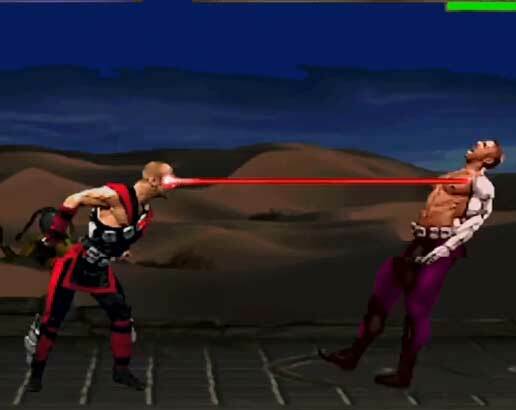 And he hates the Police! 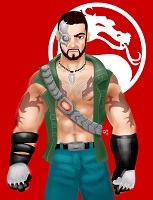 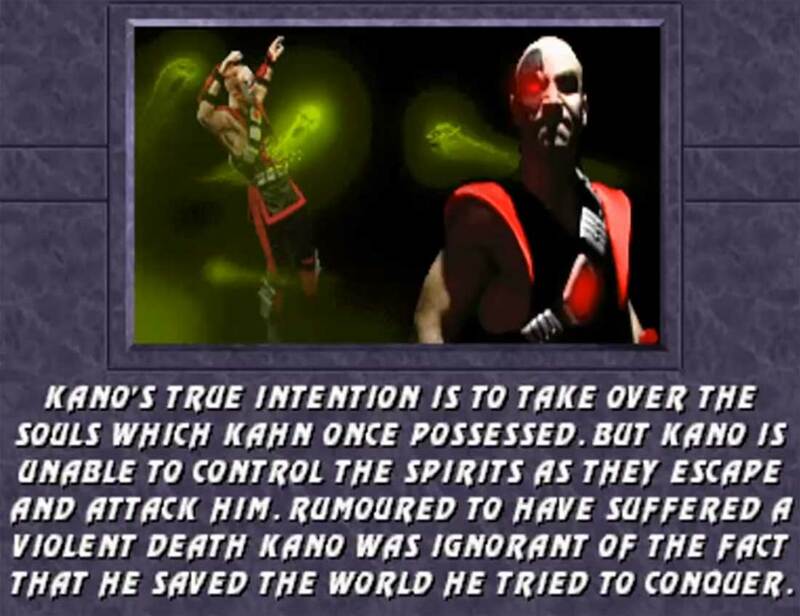 Kano was absent as a playable character in Mortal Kombat 2 but returned eventually with a new design in Mortal Kombat 3. 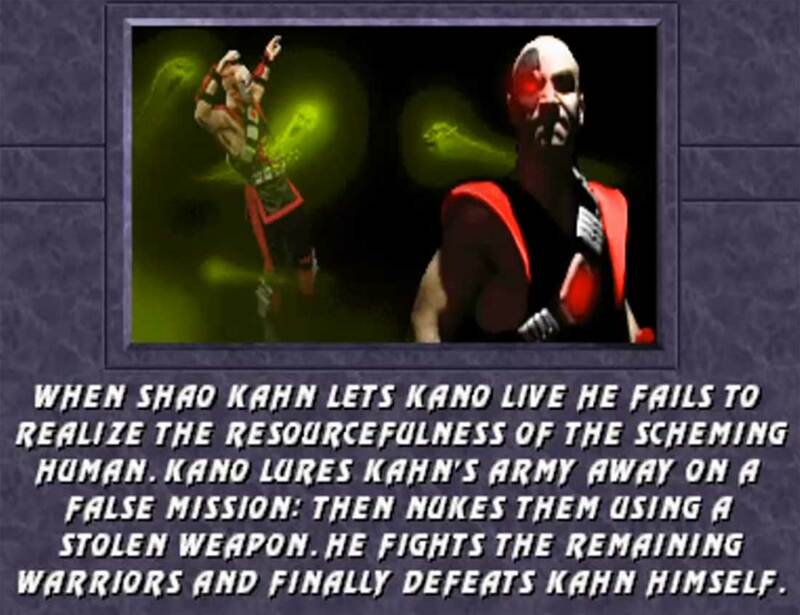 He was able to join the forces of Shao Kahn and even became a powerful General and showed the Outworld Warriors how to use Earthrealm’s weapons. 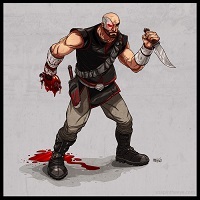 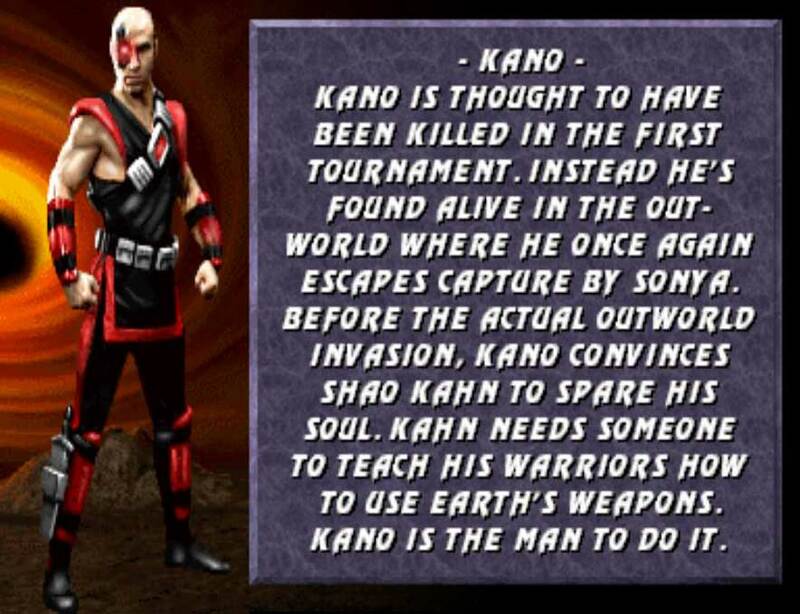 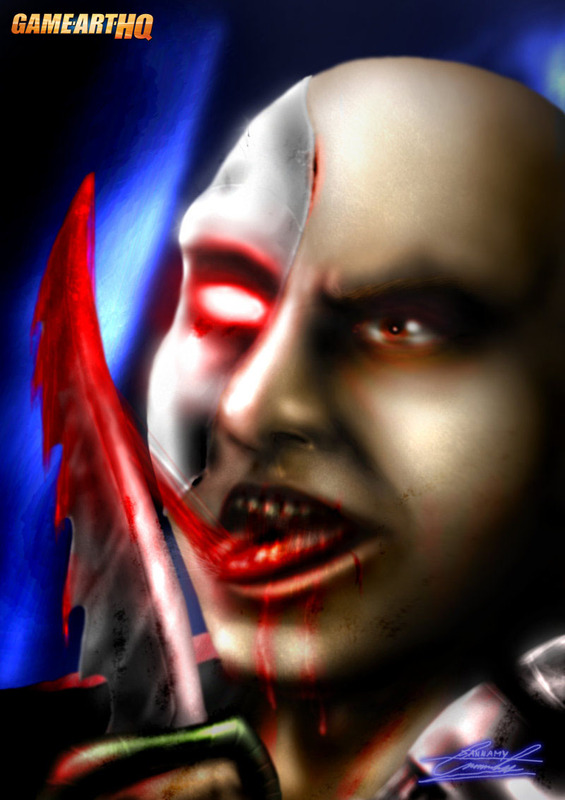 Shao Kahn underestimated Kano’s hunger for power though…read more about that in Kano’s ending below! 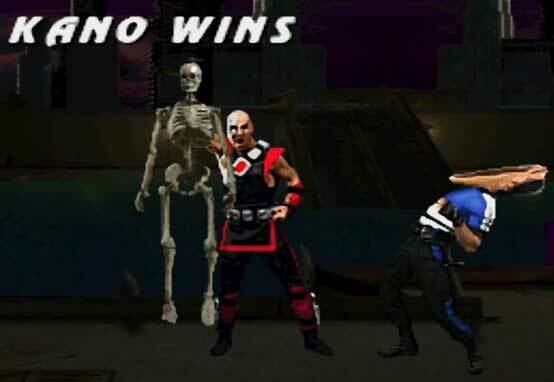 Kano returned with all his old moves and also got a new choke one and an air throw as well ..he lost his old heart-rip fatality which got replaced with a quite bizarre and fun skeleton rip-finisher.